My White Labs raises $17,500.00 for charity. My White Labs has been quit a hit this year for local charities. 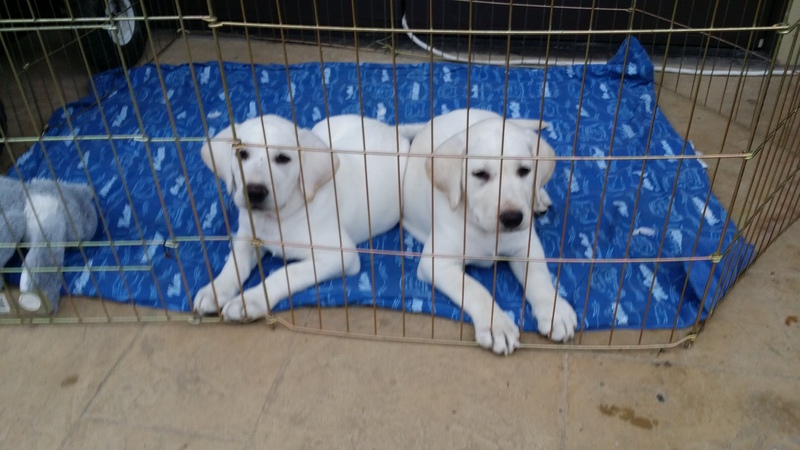 After only 2 fundraisers the total raised has reached $17,500.00 These 2 female puppies went with me to the last charity to show what my dogs look like. They are Bailey’s Cotton Candy on the left & Bailey’s Ellie Mae on the right. They are Ivory’s daughters they are not for sale They will be future breeding females in the years to come. ← Tax day puppies arrived on time.